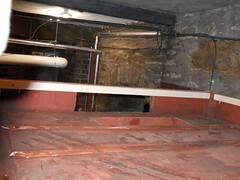 As previously mentioned on many other pages the air reservoir in the basement has been on its last legs for a number of years. We have now had a reconditioned blower put in earlier in the year but that was putting more stress on this vital piece. 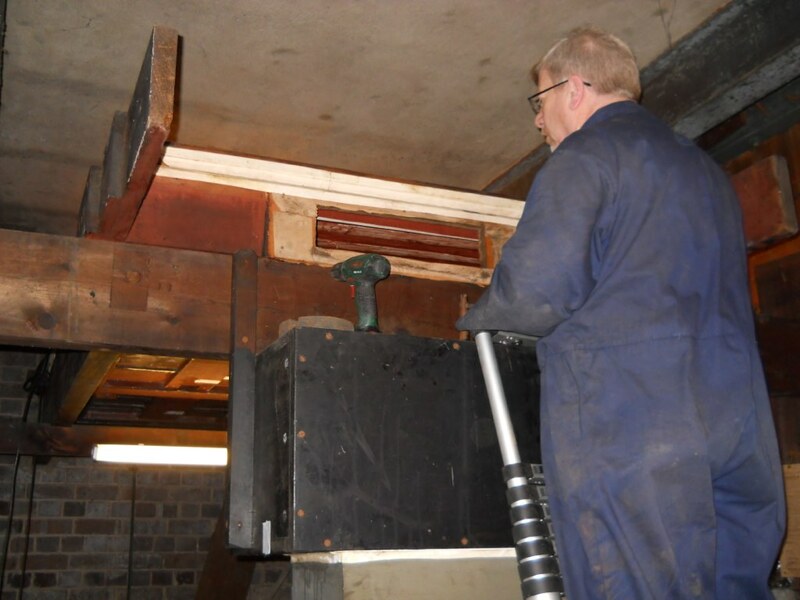 Brian & Adam from Merseyside Pipe Organ Workshop came down on 20th October to dismantle and remove the moving parts and top of the air reservoir for them to fully repair it. Getting it out was a challenge in itself. 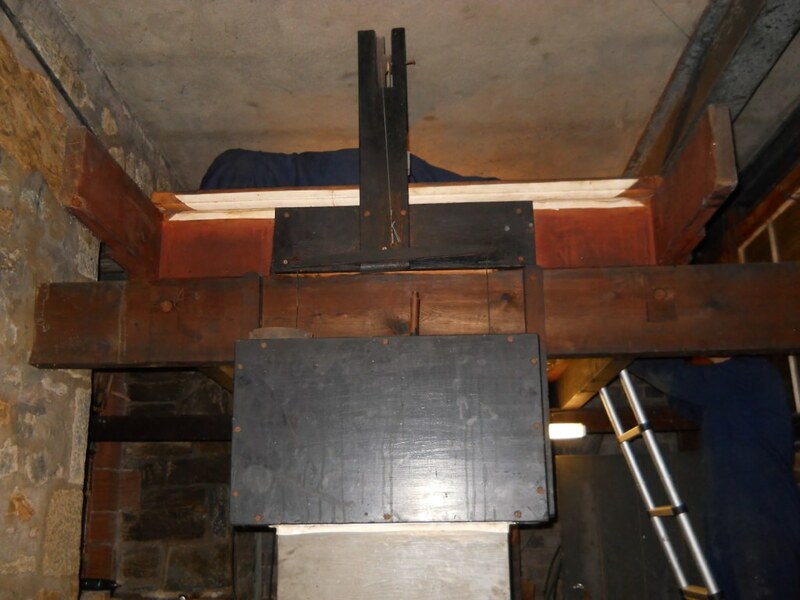 In order to maintain pressure inside there were a number of cast iron blocks on top of it along with a cast iron wheel from somewhere! 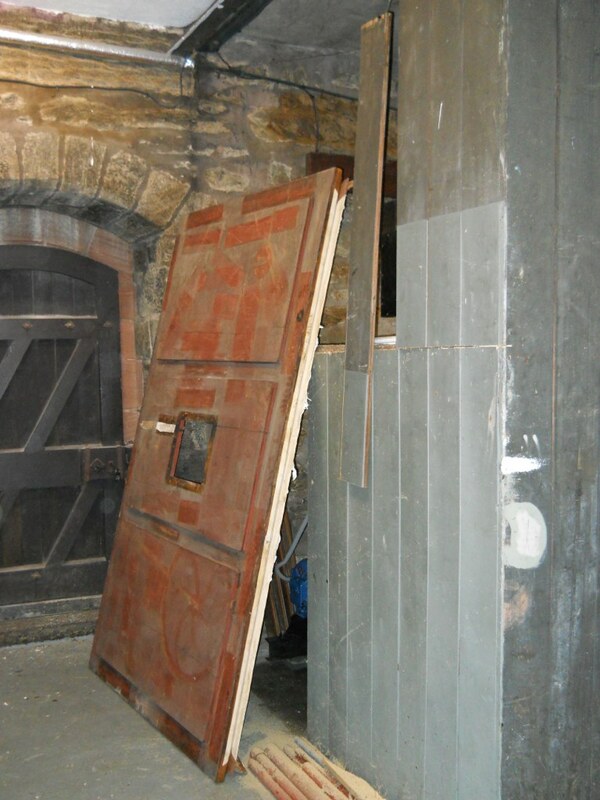 Eventually they got it out and it is now being restored. 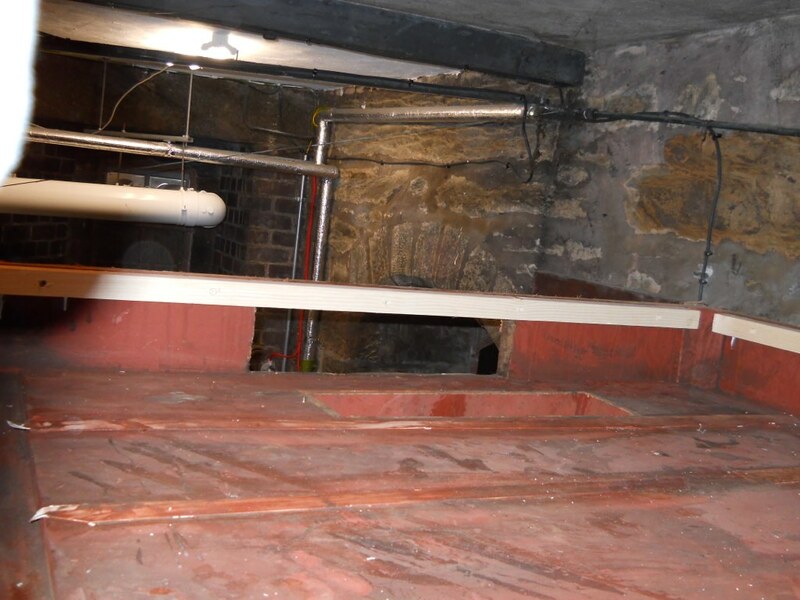 Given that it is the first time in many years that this part has been removed from the basement some volunteers have now got to work to clean, paint and repair the room. Cast iron weights from the wind chest on the window sill. 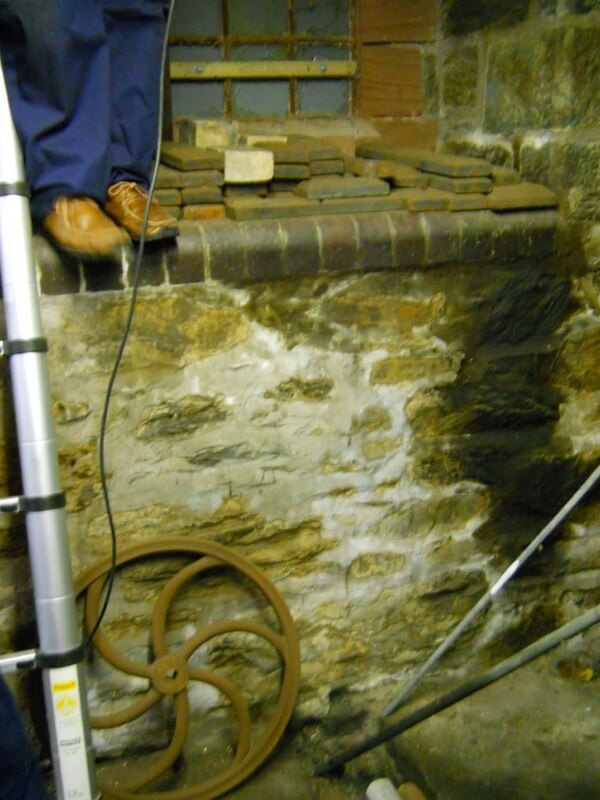 A cast iron wheel was also found on there too! Spot the workers? 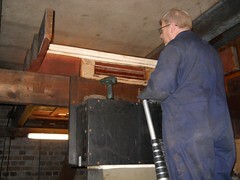 Brian and Adam from Merseyside Pipe Organ Workshop removing cast iron weights from the top of the wind chest. Top of the wind chest being removed following leather cutting. Top of the wind chest. 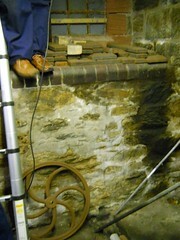 You can make out the marks were the cast iron weights have been on top and the wheel on the bottom right. 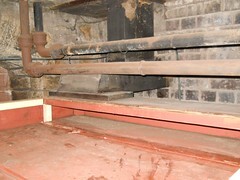 Emergency release valve that goes in the middle of the top of the wind chest. The black around the edges were originally white. The top of the wind chest showing shrinkage damage. 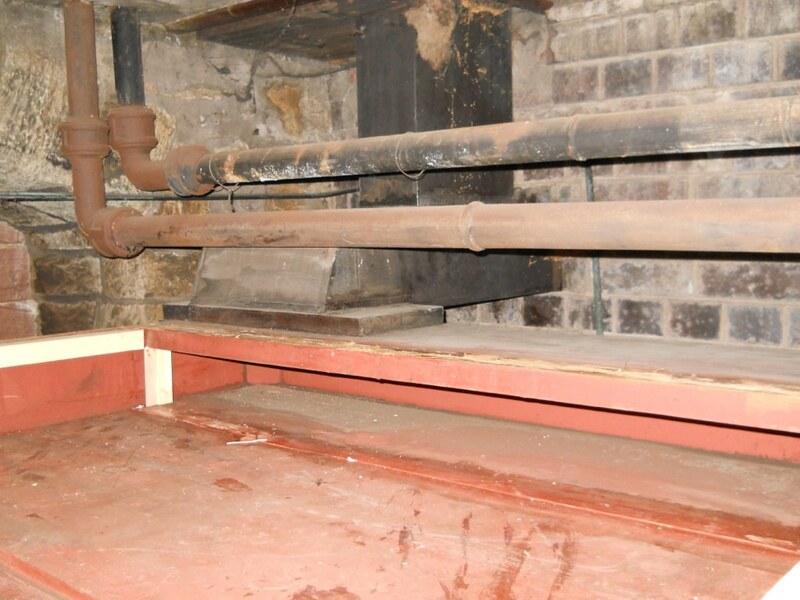 Various parts of the organ also have this type of damage were the wood has split straight through - no good if you need to keep air under pressure! 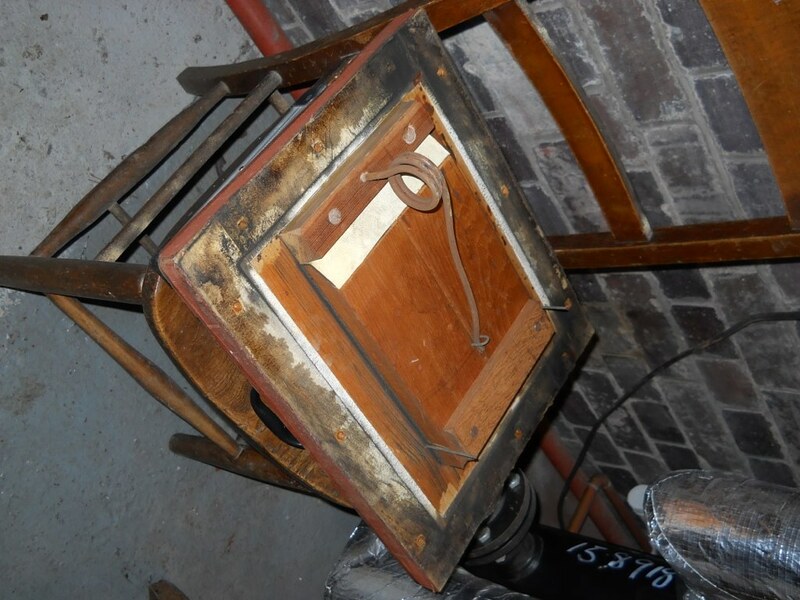 The wind chest box with the lid removed. 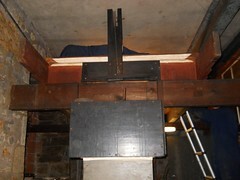 This shows the wind trunk that goes through the Vestry and into the Organ loft. Another view of the wind chest. 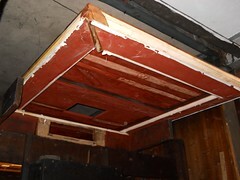 New fixings have been installed in the wind chest ready for when the restored top comes back. 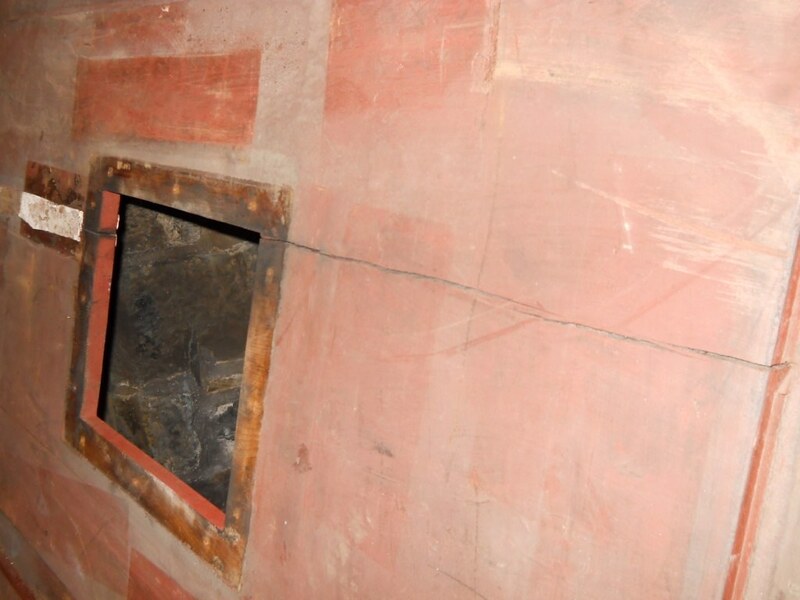 You can see the air inlet from the blower - it is the hole in the bottom of the wind chest.